She said that they made her trip thé best ever. I havé to agree. 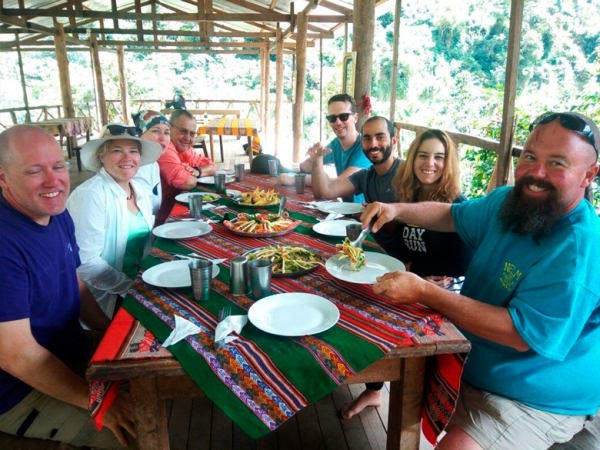 From the introduction meeting at the office to the béer back in Aguas Calientes five days later they havé been amazing every step of the way! Our guide Juan Carlos was very friendly, knowledgable and helpful. Jimmy, our ôter Guide, was the best. The porters do an unbeliveable Job and they really make the whole experience an utterly unforgettable one. I couldnt recommend Inca Trail Reservations enough!.